James Horner, a renowned Oscar-winning composer, tragically died in a plane crash on June 22 at his age of 61. He was gone leaving a huge amount of great music to remember. Here we look back at the top 5 truly remarkable, unforgettable film scores by James Horner and introduce James Horner film scores free download solution for his fans. WinX YouTube Downloader – A simple-to-use free online video music downloader available to download all James Horner soundtracks, songs (e.g. Titanic soundtrack, Avatar soundtrack) from YouTube, Vevo, Vimeo, Dailymotion and other 300 video-sharing sites. 100% clean and free. James Horner's score for Titanic brought him the biggest financial and critical success. This album is the best selling orchestral film soundtrack of all time. In addition, he also wrote "My Heart Will Go On" with Will Jennings. At the 70th Academy Awards, Horner won Oscars for Best Original Dramatic Score for Titanic and Best Original Song for "My Heart Will Go On". Braveheart is a Scottish epic historical movie. James Horner earned another Oscar nomination for his film score for this movie. 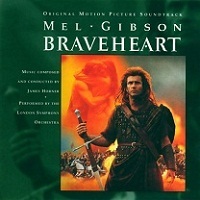 James Horner's film score for Braveheart was nominated as the Best Original Dramatic Score of Academy Awards, Best Film Music of BAFTA Awards, Best Original Score of Golden Globe Awards and also Best Music of Saturn Awards. 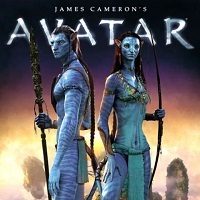 James Horner worked with James Cameron again on the billion-dollar blockbuster Avatar, following their collaboration on Titanic. James Horner spent two more years composing the score. And in return, he earned many award nominations, covering Best Original Score of Academy Award, Best Original Score and Best Original Song ("I See You") of Golden Globe Awards, etc. In 1995, James Horner composed at least six film scores, two of which are Braveheart and Apollo 13. 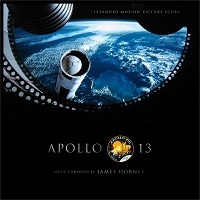 Just like Braveheart, Apollo 13 film music also earned him Academy Awards nomination – Best Original Dramatic Score. Scottish singer Annie Lennox's ethereal vocals also brought a sparkle to two tracks of Horner's film score: Dark Side of the Moon and the end titles of Ron Howard's astronaut drama. 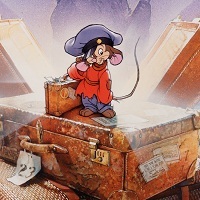 An American Tail is an animated film with a modest box office success. Apart from producing film score, James Horner also wrote the song "Somewhere Out There" with Barry Mann and Cynthia Weil. This song was nominated as the Best Original Song of Academy Awards as well as that of Golden Globe Awards. Moreover, it won Song of the Year at the 30th Annual Grammy Awards. As a matter of fact, this list is just a drop in the bucket. There are many great film scores by James Horner deserving downloading, listening, enjoying and remembering. Follow this article to learn how to download James Horner film score for free. How to Process James Horner Film Scores/Songs Free Download? To download James Horner film scores or songs online for free, you need an online music downloader just like WinX YouTube Downloader recommended above. This software specially designed to free download online videos movies and music is definitely capable of performing James Horner film scores free download. It maintains the original perfect audio quality thanks to the High Quality Engine. It outputs James Horner film music at 5-8x download speed owing to the Multi-thread and Multicast Technology. Download, install and launch this downloader. Then complete James Horner film score download in three steps. Step 1. Add the URL of target James Horner film music. Run the downloader and click the link-shaped button. Then find your desired James Horner film music in YouTube or other supported online video sites. Pick out the one you want to download and play it. Then copy and paste the URL to the address bar of WinX YouTube Downloader. Step 2. Analyze James Horner film music URL. Click "Analyze" button. A few seconds later, you are asked to choose an output option from the listed results as you like. Step 3. Run James Horner film music downloading. Hit "Download" button to move to the process of Horner film score download. -	As powerful as WinX YouTube Downloader, it is able to free download James Horner film scores/music songs from more than 300 video sites to MP4, FLV, WebM and 3GP. -	Convert James Horner film scores to MP3, AAC, AC3, FLAC, WAV, iPhone Ringtone, etc. -	Convert downloaded James Horner film music to iPhone, iPad, Samsung Galaxy, Sony Xperia, Google Nexus, Surface Pro, Xbox, PS3, etc. -	Trim, crop or merge downloaded James Horner soundtracks for special needs.